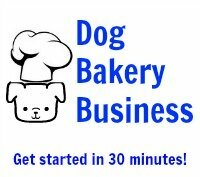 Two easy recipes for dog cupcakes. One for bacon flavor dog treats and one with carob. Make bacon cheeseburger cupcakes for dogs! No dog will turn it down. This recipe calls for real bacon and cheddar cheese powder which is a little easier to digest. In place of water, beef stock is substituted for a hearty flavor. Let the dog cupcakes cool and then frost with dog treat icing for a festive, party feel. If you are hosting a birthday party for your dog, each guest will have his or her own cupcake providing just enough cake for a great treat. 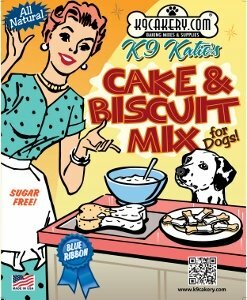 The complete quick and easy dog treat recipe including ingredients and instructions is written out for you below. Mix the dog cake mix, beef stock, oil and egg together. Add in the cheddar cheese powder and bacon to the cake mix. Pour the mix into the greased cupcake pan filling each mold approximately 2/3 full. Bake 28 to 30 minutes or until toothpick inserted into middle of cupcake comes out clean. You can make microwave dog treats too. Omit the egg to modify the recipe for the microwave and pour the mix directly into a silicone dog cake pan or other microwave safe container. Let the cupcakes cool. Top off with Magifrost dog treat frosting. If you want to color it, add your icing color in, then stir until smooth and creamy. Frost the bacon dog treats. Add all natural sprinkles on top if you desire. Then, let the frosting dry completely. It will dry hard and will not need to be refrigerated. 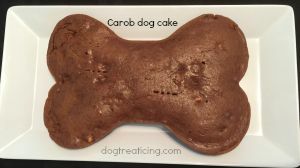 Make all natural carob dog treats with this dog cake recipe. It calls for natural carob powder and de-fatted all natural peanut butter powder. Dogs should not be given chocolate or any products containing caffeine. Their bodies do not have the ability to break these products down and could suffer a fatal reaction. Carob is used as a safe, natural "chocolate" substitute. It looks like chocolate, has a taste similar to chocolate (although real chocoholics will not enjoy it), but comes from a carob tree. 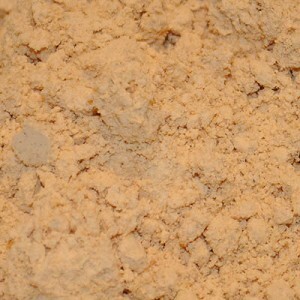 The powdered form we recommend for your dog has no additives. De-fatted peanut butter powder will have less fat and no added sugar. Store brand peanut butter has sugar added. Dogs do not need the additional sugar which is there to please the human taste buds. Mix together cake mix, egg, oil, and water in a large bowl. Add in peanut powder and carob powder. Pour the mix into the cupcake liners filling each approximately 2/3 full. Bake 28-30 minutes or until toothpick inserted into middle of cupcake comes out clean. Let cool 10 - 15 minutes before removing from pan. Remove from pan and let dog cupcakes cool completely. Finish with Magifrost. Decorate with all natural sprinkles. You can make microwave dog cupcakes too. Omit the egg to modify the recipe for the microwave and pour the mix directly into a silicone dog cake pan or other microwave safe container.